Mark R. Brand: The Damnation of Memory is Here! The Damnation of Memory is Here! 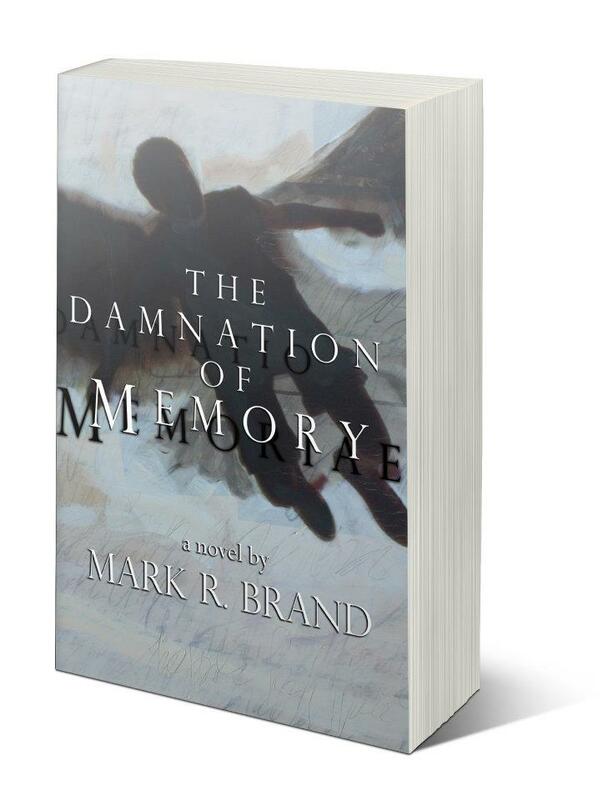 I just got my first copies of The Damnation of Memory today. Many of you know that this book has been an unusually long time in the making. In fact, I actually finished this one before I even started working on Life After Sleep, which came out earlier this year. I finished the first draft of Damnation and sent it to Paul in late 2008, before I was made an editor at Silverthought, which to give you a sense of scope was a few weeks before Barack Obama was elected. And it's been in post-production since then, delayed at various points due to life in general and creative rethinking; the book just needing that much time to fully mature under what seemed like a never-ending series of revisions and rewrites. But all that's over, and it's finally here, and I couldn't be happier about it. This book has been my co-pilot of sorts for the last three years, with the manuscript accompanying me during events both good and bad. I remember taking it with me on a weekend trip with the O'Malleys when John was very young, and working on it late into the night, falling asleep on the couch in the big rented weekend home so I wouldn't keep anyone else awake. I remember taking it with me on several long train trips from Chicago to New York, typing scenes that took place in the very same northeast corridor that I was watching the sun come up over. I had this book with me, either in my thoughts or on a glowing laptop screen, as I traveled to visit my grandmother Laura Thompson when she became progressively more and more ill with cancer, and again when I rode the train home that final time after she passed. Some of that loss is there, on those pages. A lot of it, actually, and other sorts of loss, and grief, and anger, and resolve, and wonder at how easy it is to lose perspective in this upside-down world we live in. It's not an emotionally easy book for me, in other words, but it's here now, for happier or sadder, and every bleary-eyed re-read of it at 3AM on my chilly, unheated front porch has finally added up to this stack of books on my desk, wrapped in a gorgeous painting by Deborah Lader titled "Flying". I've once again really had a resoundingly positive experience with the editing process. I know writers who say they just flat out hate editing their work; that it's a part of the birth of a book that they don't look forward to at all, and I couldn't disagree more. As long as I've been fiddling with it, changing phrases here and inflections there, I'm certain today that it didn't take the full shape I wanted it to until right at the end of all of this work. Maybe that's too egotistical of a way to phrase that... I should say that by the end of the editing process, I started to surprise myself that I had written this, which is always the point where I know that a project like this is finally close to done, and where I can only give humble thanks to the people who helped me along the way, in this case in particular my editor Paul and the cover artist Deborah Lader, but more generally to my wife and family as well because I absolutely couldn't have done it without them. So even though we haven't had the official release party for it yet, it's available to buy now through Amazon.com, Silverthought.com, and will soon be available at several bookstores in Chicago. If you're a Kindle reader, there will likely be an eBook version coming soon as well.